Judging from the name, one might expect the Motorola X8 chip to be an 8-core CPU. In fact the new SoC consists of one quad-, one dual- and two single-cores. Does that make any sense? Indeed, it does! The rumors surrounding the new Moto X simply won't quiet down—and why would they, with Motorola strategically leaking little bits of information every now and then. The latest news concerns the center piece of the upcoming smartphone. 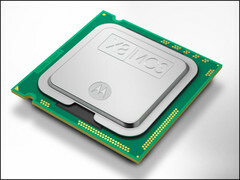 The new Motorola X8 is not—as the name suggests—an octa-core CPU consisting of two quad-cores like the Exynos 5 Octa. At first glance the Motorola SoC looks somewhat messy, for lack of a better word: You will find a quad-core Adreo 320 GPU, a 1.7 GHz dual-core Krait CPU and finally two low-power cores. While this setup may look confusing at first, it makes absolute sense considering the (expected) features of the new Moto X. The real innovation is not to be found inside the Qualcomm Snapdragon S4 processor but rather in the two single-cores. One of them is a designated natural language processor while the other one is a contextual computing processor, according to Motorola's website. Due to both of them using (very) low power levels, they are actually active the whole time without considerably lowering battery life. This will allow the Moto X to constantly listen to the user's every word, waiting for a valid command. This effectively allows the Always-On feature of Google Now. While the new chip certainly does not compete with the newest generation for pure processing power, the allegedly modest pricing of the Moto X will make up for that. The two single-cores, specifically designed to react to voice commands, are the actual heroes of the new Motorola X8 SoC. Even more so since—according to Motorola—your battery will hardly take a hit despite them being active around the clock.